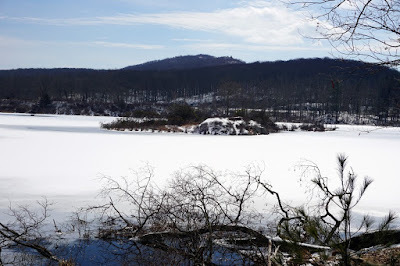 It has snowed a couple of inches of snow two days prior, and there was a large snowstorm predicted for the evening. 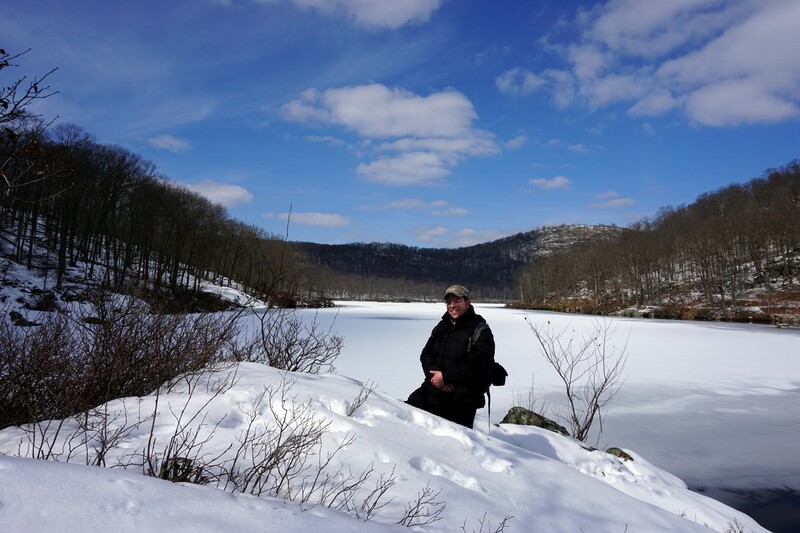 The snow cover wasn't deep, but nevertheless created a pretty layer for the hike. 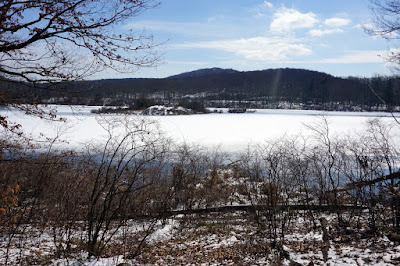 I had not been to this area in some time. 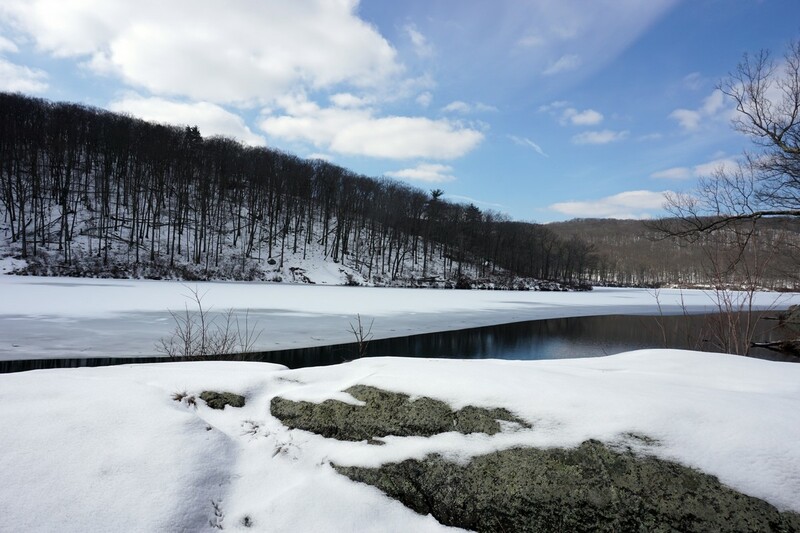 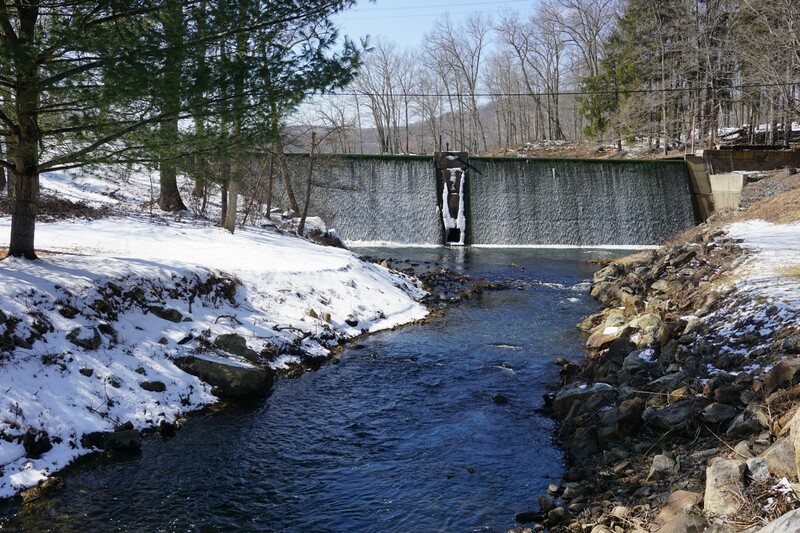 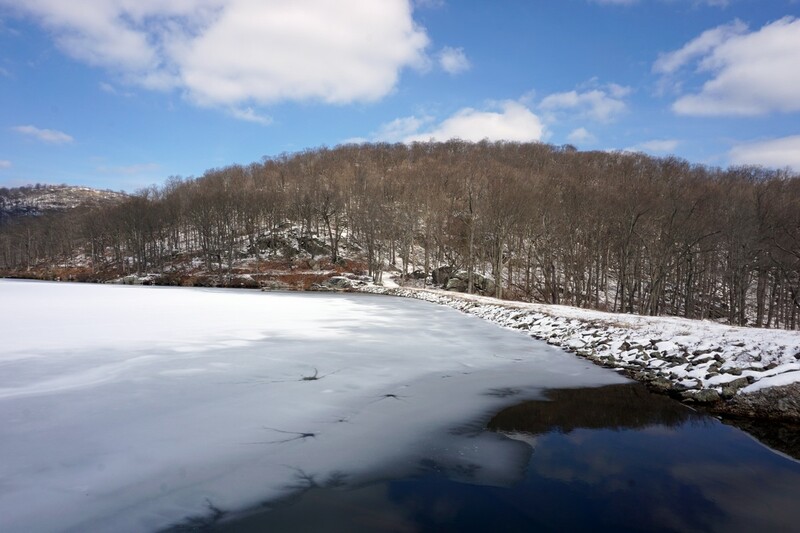 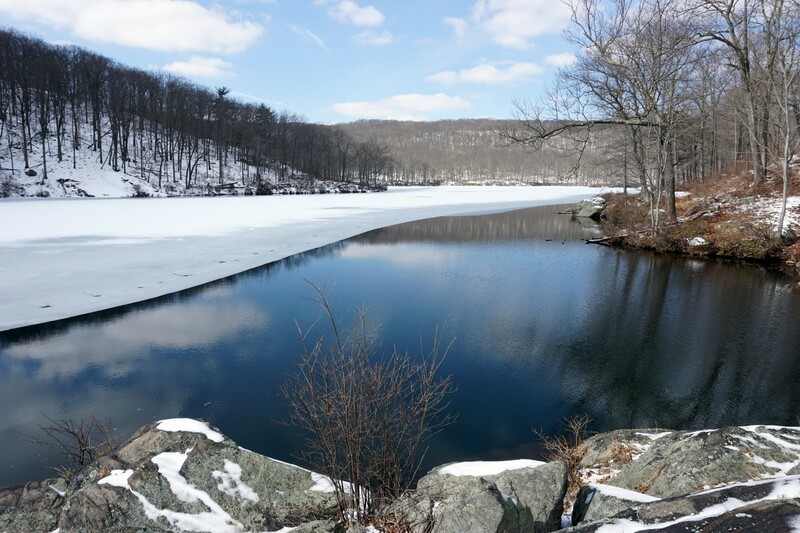 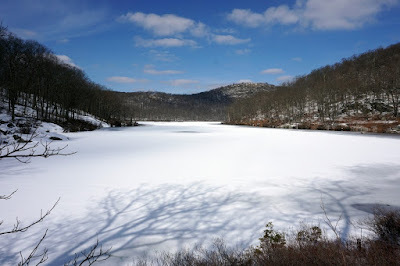 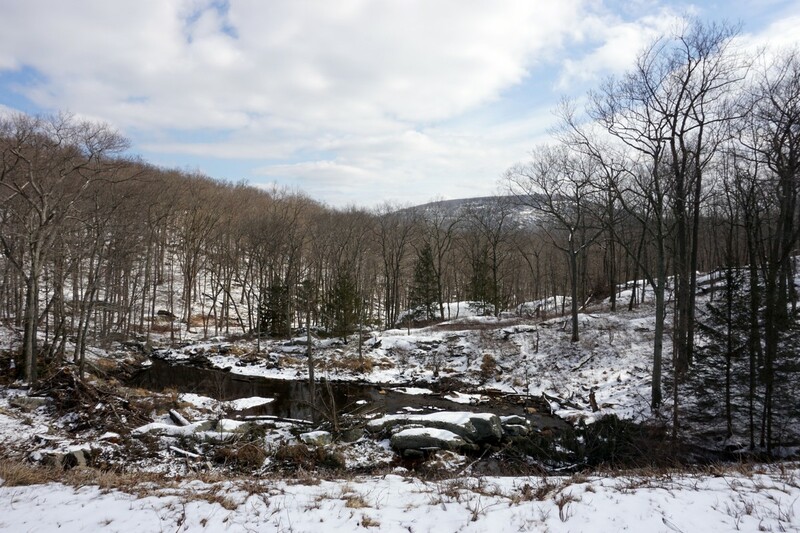 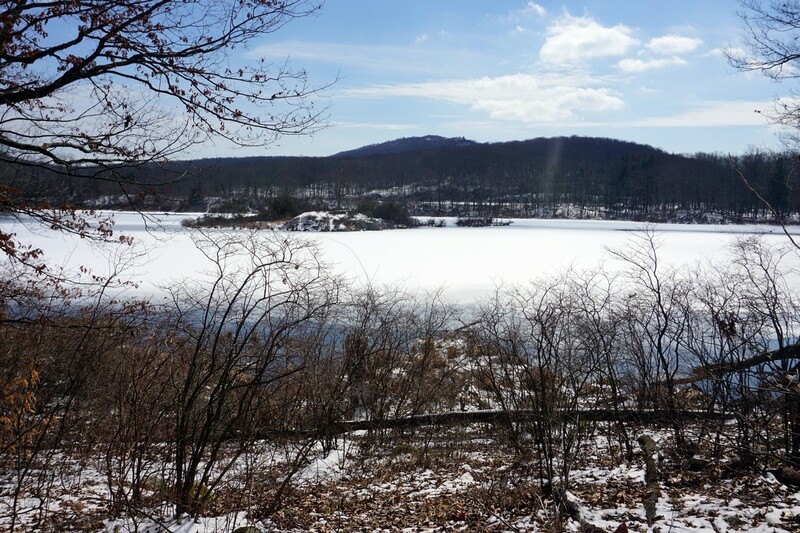 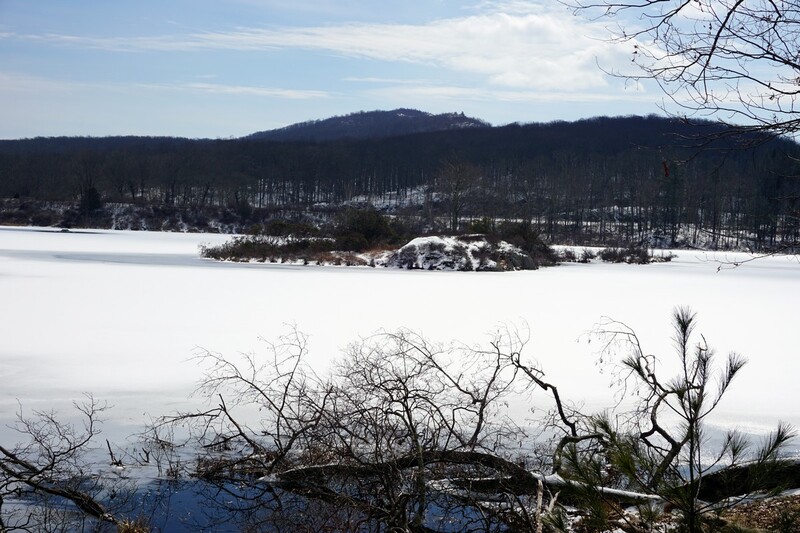 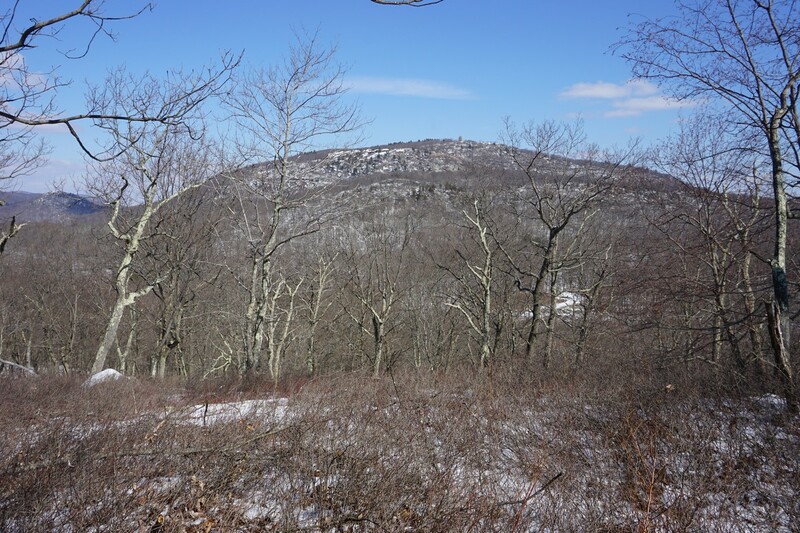 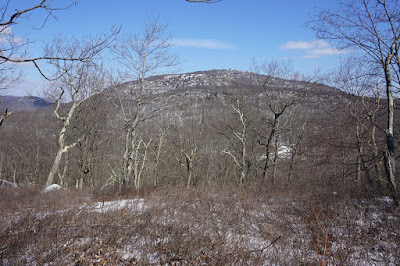 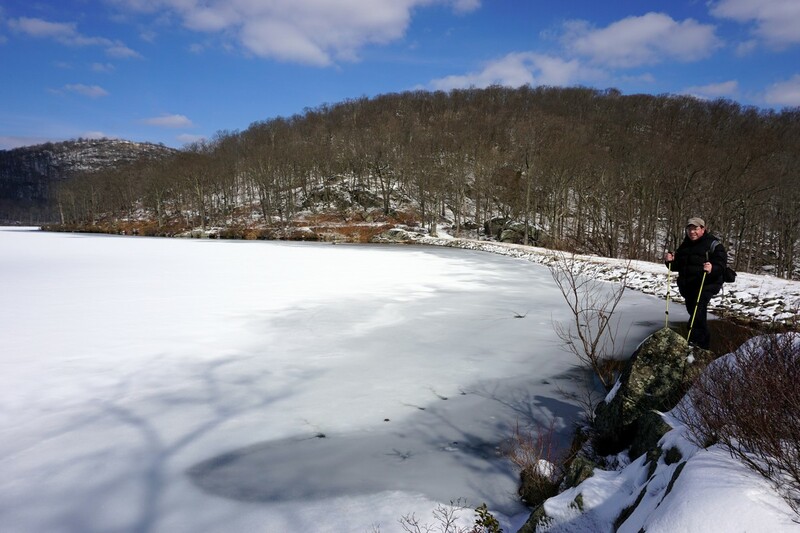 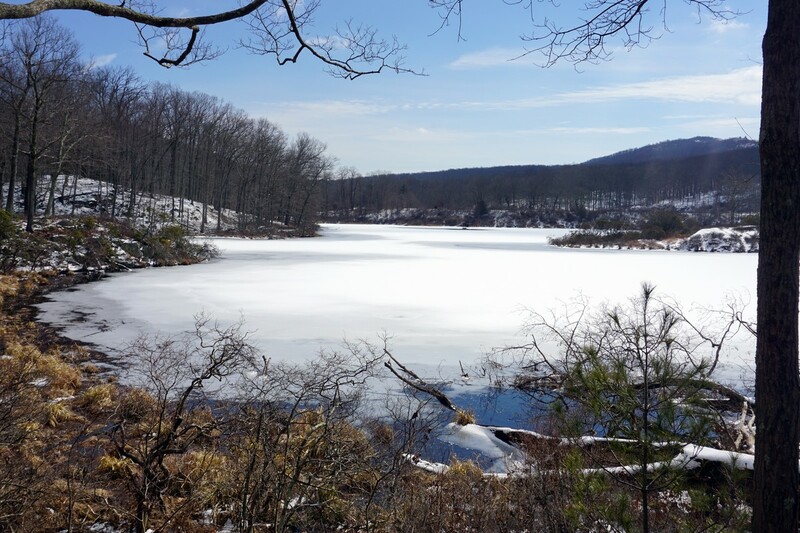 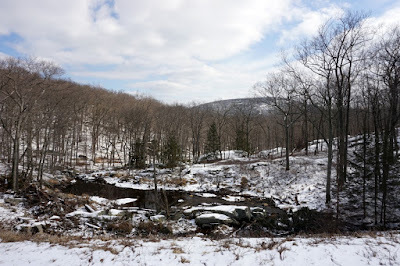 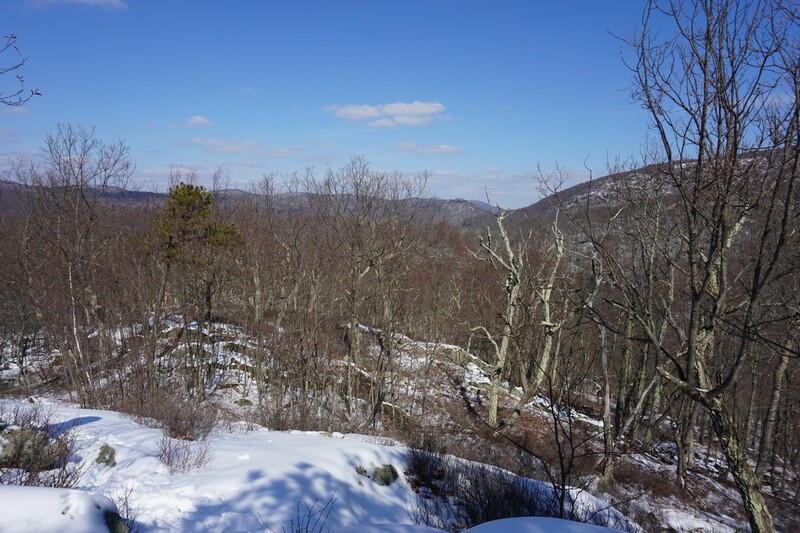 It is at the far northern region of Harriman, an area not popularly traveled and often quiet. 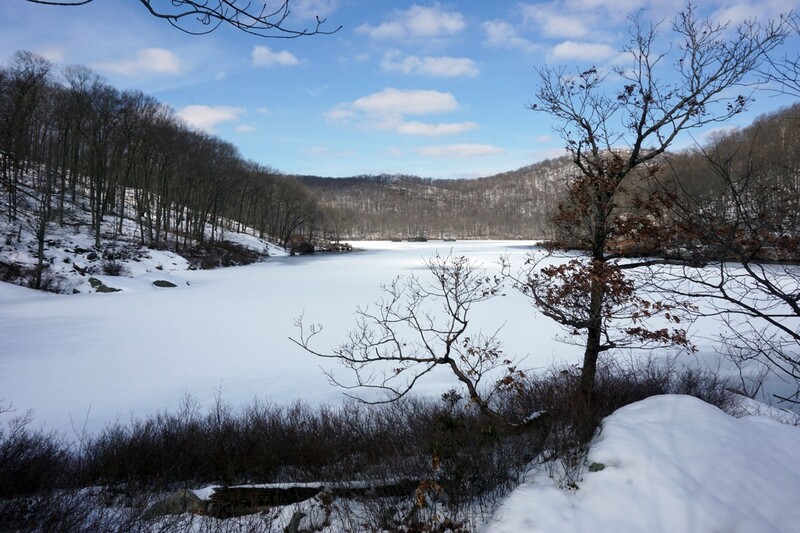 Turkey Hill Lake is one of the least-visited lakes in the park. We parked at Anthony Wayne Recreation area, and crossed the Palisades Parkway on the overpass, taking the Anthony Wayne Trail to the 1779 Trail. 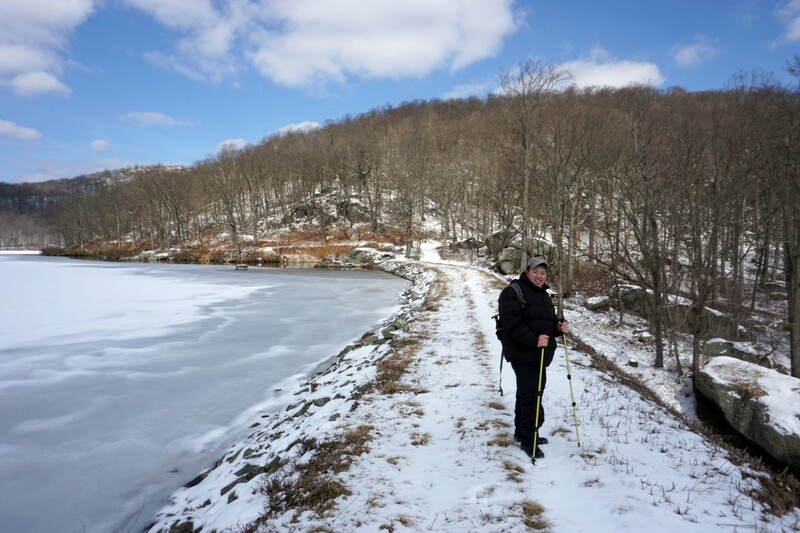 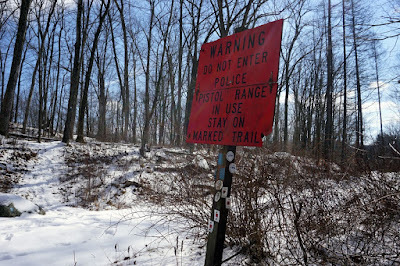 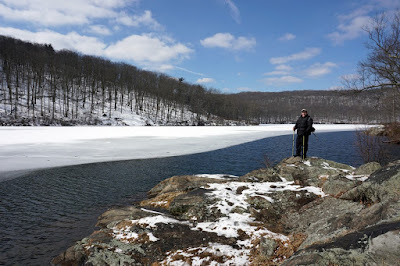 We took the 1779 Trail to the outlet trail of the Queensboro Trail, where we then met the Popolopen Gorge Trail. 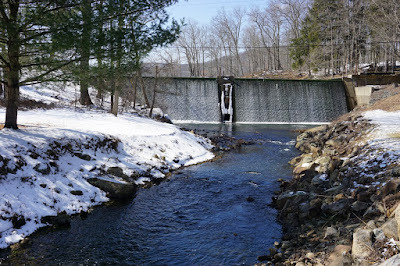 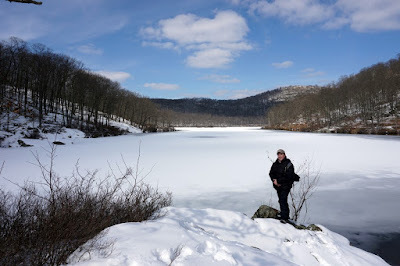 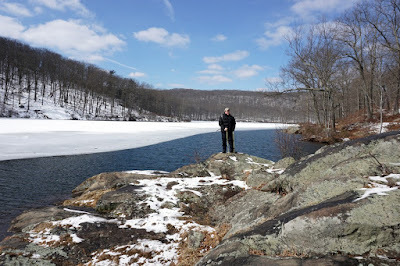 We crossed the dam, which was overflowing, and took the path on the northern side of the lake and outlet stream to the Popolopen Gorge Trail. 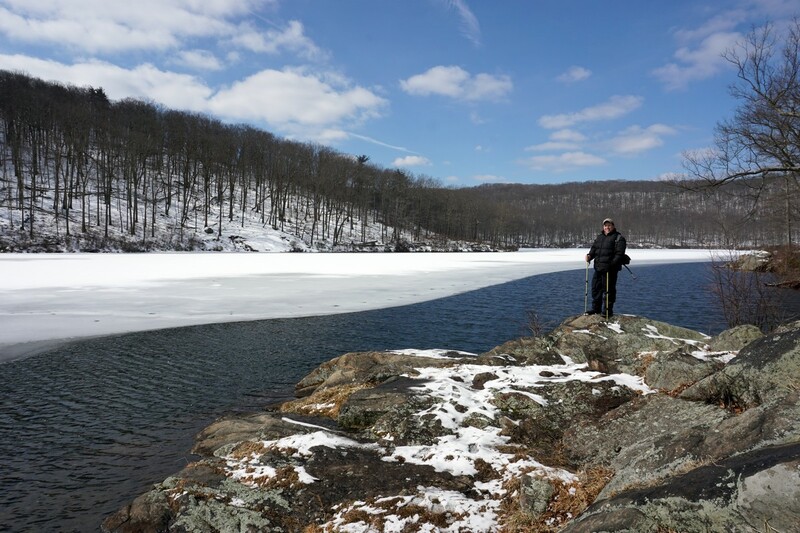 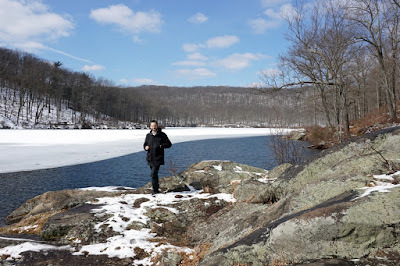 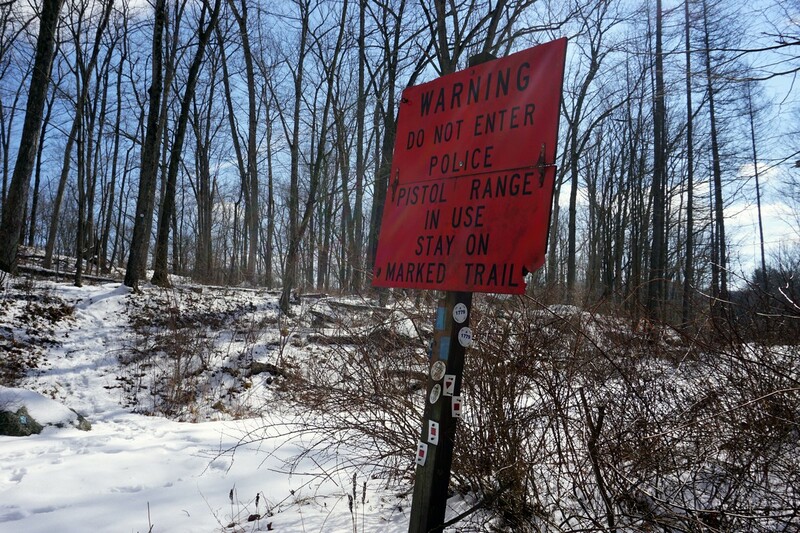 We took the combined 1779 and Popoplopen Gorge Trail to Queensboro Lake, adjacent to the Police test shooting range, then crossing the Palisades at the Seven Lakes Drive overpass. 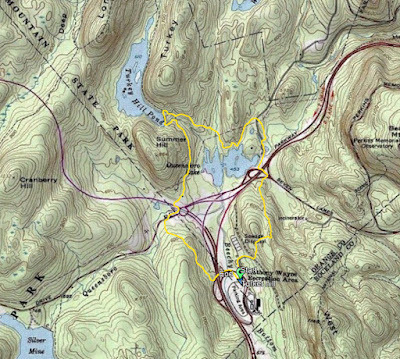 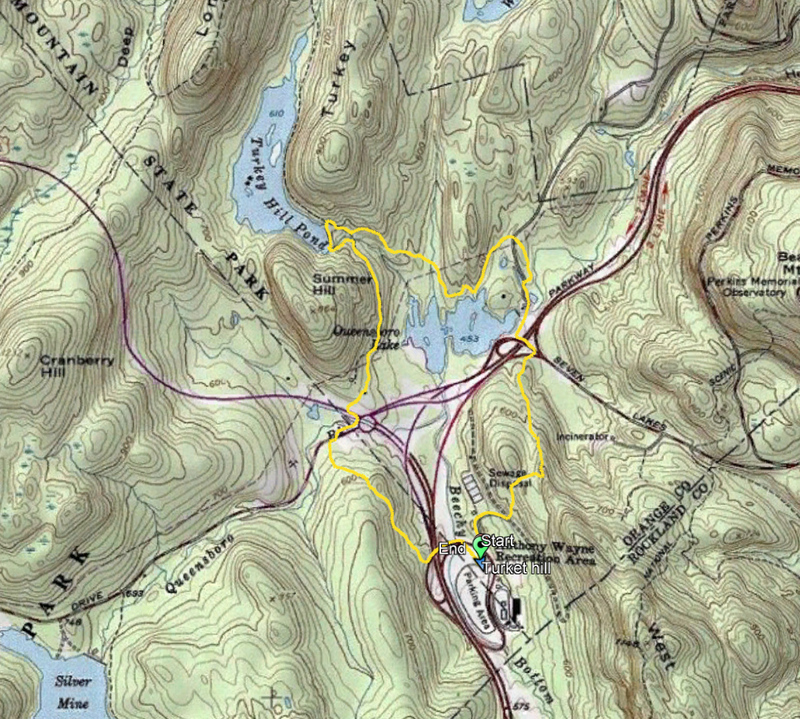 We then took the Timp-Torne trail up the northern flank of West Mountain, and then went down the Fawn Trail, to the Anthony Wayne Trail, back to our car at the trailhead.